HLA-B27 and autoimmune disease: Is a low-starch diet the solution? Numerous environmental factors have been implicated in the development of autoimmune disease, including antibiotic use, birth by cesarean section, chemical exposure, poor diet, and sleep deprivation, among others (1, 2, 3, 4, 5). While it is widely believed that disease onset requires an environmental trigger, most autoimmune conditions have a genetic component as well (6). Genetic information can be a powerful tool in aiding both diagnosis and treatment. One particular group of genes that has been strongly associated with various autoimmune diseases is HLA-B27. In this article, I'll discuss HLA-B27, the role of a gut microbe called Klebsiella, and why a low-starch diet may be effective for those who have an HLA-B27-associated autoimmune disease. • The product cannot work as advertised because its only purported active ingredient, apoaequorin (a protein), is completely destroyed by the digestive system and transformed into common amino acids no different than those derived from other common food products. • The amount of amino acids Prevagen adds to the user’s intake are trivial in comparison to normal dietary intake. A supplement called Prevagen, which has helped propel its manufacturer, Quincy Bioscience, into the ranks of fastest-growing companies in the U.S., shows evidence of serious side-effects and should be marketed and regulated as a drug, says the U.S. Food and Drug Administration. 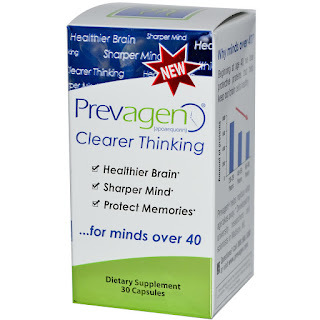 In a warning letter, the FDA accused the company of not reporting to the government “adverse events like seizures, strokes, and worsening symptoms of multiple sclerosis that had been reported to your firm as being associated with the use of Prevagen products.” Reports about the supplement to the company have also included chest pain, tremors, fainting and other serious symptoms, the FDA says. In fact, the company received more than 1,000 incidents and product complaints about Prevagen between May 2008 and December 1, 2011, and only investigated or reported two events, the letter says. The FDA is waiting for the company’s response. 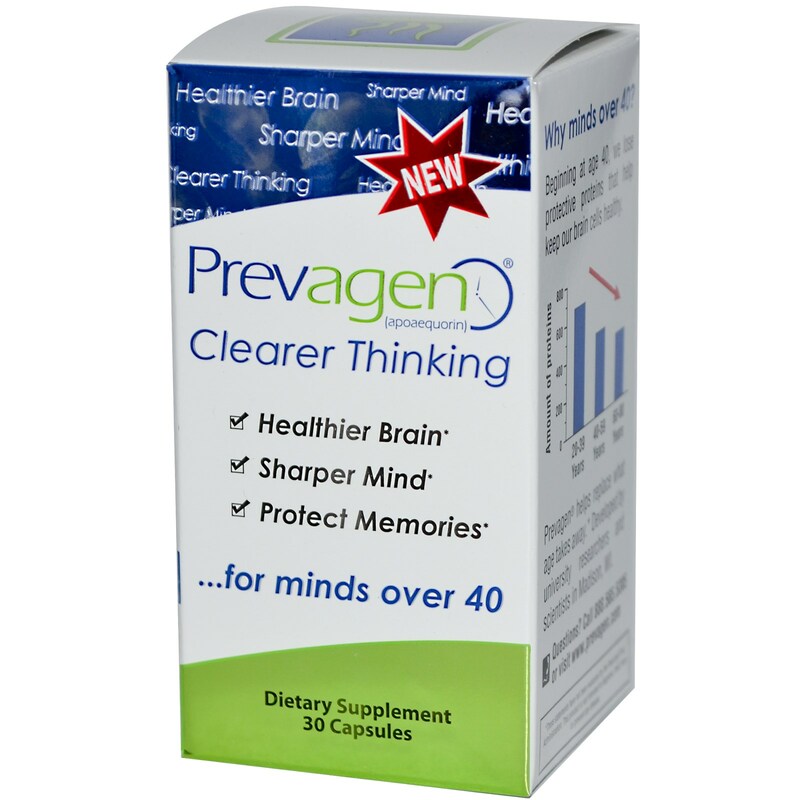 It could seek legal action to halt the manufacture and marketing of Prevagen. Alzheimer's and dementia can be prevented, slowed down and even reversed, despite what you've been told by conventional medicine! Alzheimer’s and dementia are the most misunderstood, cruelest and costly of all diseases. The Alzheimer's and Dementia Summit is online and FREE from July 25 - August 1, 2016. Is Organic Meat Truly Better for You? In this study, Spanish researchers examined 76 samples of organic and conventional beef, chicken, and lamb for 33 carcinogenic pollutants that are commonly found in non-organic meat. As expected, pesticides were found in the non-organic samples. The surprising finding came from the organic samples – not only were none of the samples free from contaminants, but the difference in levels of pollutants between the organic and conventional samples was very minimal. Of the samples, they found that lamb – both non-organic and organic – had the highest level of pesticides of all the samples. In fact, the organic samples actually containing more pollutants than the non-organic! 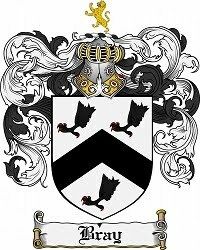 Fatigue is what we experience, but it is what a match is to an atomic bomb. This disease leaves people bedridden. I've gone through phases where I couldn't roll over in bed. I couldn't speak. To have it called 'fatigue' is a gross misnomer.'" What they found may shed new light on diagnostic procedures for the condition and may lead to specific strategies for treatment and prevention. Differences were revealed in both stool and blood samples. Although these changes could not be clearly identified as either the cause or consequence of ME/CFS, researchers were heartened by the presence of these markers in 83 percent of the samples, and the possibility of treatment options to reduce symptoms. "Our work demonstrates that the gut bacterial microbiome in chronic fatigue syndrome patients isn't normal, perhaps leading to gastrointestinal and inflammatory symptoms in victims of the disease. Furthermore, our detection of a biological abnormality provides further evidence against the ridiculous concept that the disease is psychological in origin." According to an investigation published in the Journal of the American Medical Association (JAMA) Internal Medicine on July 5,1,2,3 56 percent of all calories consumed in the U.S. between 2001 and 2006 came from government-subsidized commodities such as corn, soy, wheat, rice, dairy and meat. '[A]n excess of subsidies in these areas ends up leading to a conversion into foods like refined grains and high calorie juices, soft drinks with corn sweeteners and high-fat meats,' says Ed Gregg, Ph.D., chief of the CDC's epidemiology and statistics branch in the diabetes division. 'It's basically the way that they're used that ends up being detrimental.'" "Government-issued payments have skewed agricultural markets toward the overproduction of commodities that are the basic ingredients of processed, energy-dense foods," and that this is "worsening obesity trends in America." The authors of this 2013 study also noted that "federal farm subsidies promote unsustainable agriculture while also failing to reward good stewardship." This week a meta-analysis of seven studies involving a total of 6,250 subjects in the American Journal of Hypertension found no strong evidence that cutting salt intake reduces the risk for heart attacks, strokes or death in people with normal or high blood pressure. In May European researchers publishing in the Journal of the American Medical Association reported that the less sodium that study subjects excreted in their urine—an excellent measure of prior consumption—the greater their risk was of dying from heart disease. These findings call into question the common wisdom that excess salt is bad for you, but the evidence linking salt to heart disease has always been tenuous. "Eating Fat Does Not Make You Fat"
Indeed, the National Obesity Forum in the United Kingdom recently stepped up the controversy over dietary fats with the release of a report stating, "Eating fat does not make you fat." It quoted several trials suggesting that following a higher-fat, low-carbohydrate diet may be better than a low-fat diet for decreasing weight and cardiovascular risk. However, it went further and advised people to stop counting calories but cut down on snacking, because different types of foods have different metabolic effects. And, it went on to say that "saturated fat does not cause heart disease," while full-fat dairy may have health benefits. View healthcare as a team sport; it must be user-friendly and deliver value. No more payment for volume; incentivize optimal health outcomes economically. Provide the right solution for the right patient at the right time, via coordination of care across patient condition, services, and time. Educate physicians of the future to be empathetic, communicative, and creative—more than just science grade point average (GPA), multiple-choice test score automatons. Surgeons performing procedures must objectively prove appropriate competence and confidence. Replace the "Blockbuster" model of "come to my hospital when you are sick" with the "Netflix" model of delivering care where the consumer is; no new unneeded hospital beds. Generate credible, understandable medical bills that state what was done and what the patient owes, no matter who is paying the bill. Eliminate the term "alternative healthcare" for modalities of treatment that are more effective than traditional American medicine when used in other countries. Replace walls of noninteroperability among research institutions with interactive supersites for innovative clinical research. Develop an electronic health record system that is interoperable with vendor-driven patient-centric apps for health information and is at least as integrated as shopping information on Amazon. Use systems thinking to create a healthcare model that actually makes patients and communities healthier, thereby breaking the stranglehold of narrow thinking via the triangle of access, cost, and quality. Did you get all that? Plenty disruptive. In this July 9, 2015, file photo, bottles of Coca-Cola are on display at a Haverhill, Mass., supermarket. Email correspondence obtained by the nonprofit consumer education group U.S. Right to Know allegedly reveals how a leading Coca-Cola and food industry representative garnered help from a top official with the Centers for Disease Control and Prevention in hopes of getting into the ears of World Health Organization officials. The emails were between Dr. Barbara Bowman, director of the CDC's Division for Heart Disease and Stroke Prevention, and Alex Malaspina, a former Coca-Cola scientific and regulatory affairs leader and the founder of a food industry-funded group, International Life Sciences Institute (ILSI). They allegedly show Bowman's multiple attempts to aid Malaspina's relationship with WHO leaders whose actions (think soda tax) were hurting the beverage industry. According to the report, Bowman – whose job is to try to help prevent obesity, diabetes and other health problems – "appeared happy to help the beverage industry cultivate political sway with the World Health Organization." Patients with multiple system atrophy (MSA) have decreased levels of plasma coenzyme Q10 (CoQ10), regardless of whether they carry a mutation in the gene encoding for CoQ10 (COQ2), new research reveals. While researchers know that familial cases of MSA are caused by COQ2 variants, "we don't know anything" about the sporadic form of the neurodegenerative disease, said study author Shoji Tsuji, MD, PhD, professor, neurology, University of Tokyo, Japan. The new study provides an important clue to the mechanism of this sporadic form, he said. The new information also provides a rationale for a clinical trial he and his colleagues are planning for testing of CoQ10 supplementation, he said. "We know now that the presence of CoQ10 levels are decreased in patients even without COQ2 variants. That means supplementation of CoQ10 may be effective for patients with or without COQ2 mutations, so it may be effective for all MSA patients." The study was published online June 27 in JAMA Neurology. Alachua County's Control Flu program might need to stock up on Band-Aids. Since 2009, the program has annually administered the FluMist vaccine, a nasal spray that can prevent multiple strains of influenza, to pre-kindergarten- through 12th-grade students. During the 2015-16 flu season, it vaccinated more than 14,500 students, a record for the program. And a University of Florida graduate published a study this year finding that the program could be a cost-effective initiative statewide. But a U.S. Centers for Disease Control and Prevention committee on Wednesday advised against using the FluMist vaccine, saying it appeared less effective than flu shot vaccines. The FluMist vaccine uses live, but weakened, influenza to kick start one's immune system. Flu shots, rather, use inactivated influenza. Paul Myers, administrator of the Alachua County Health Department, said the county will continue its Control Flu program, although he's unsure which vaccine the program will use. "I don't know if FluMist will even be available," he said. Another study from MD Anderson Cancer Center, published in January, suggests a link between the typical Western (high-sugar) diet and breast cancer. When researchers split mice into four groups and fed them all different diets, they found that those who ate more sucrose or fructose (both types of simple sugars) had more breast cancer tumors—and more tumors that had spread to the lungs—than those who got most of their carbohydrates from starches. Finally, according to several studies in recent years, people with diabetes or prediabetes are at increased risk for cancer—especially liver, pancreatic, and uterine cancer. An unhealthy diet is a major risk factor for developing high blood sugar and insulin resistance (both hallmarks of diabetes), says Daniel-MacDougall, so it's not unrealistic to suggest that what you eat also affects your risk of these cancers.